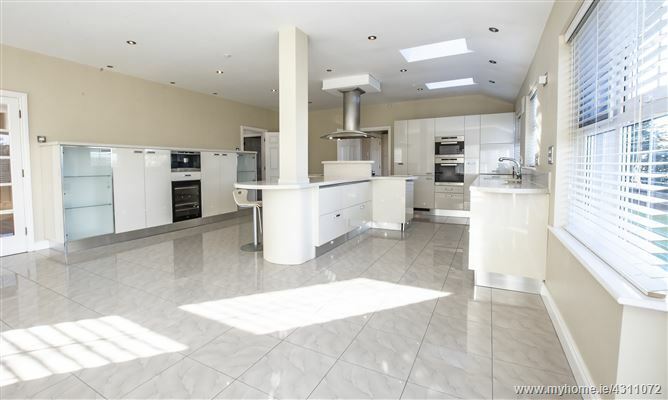 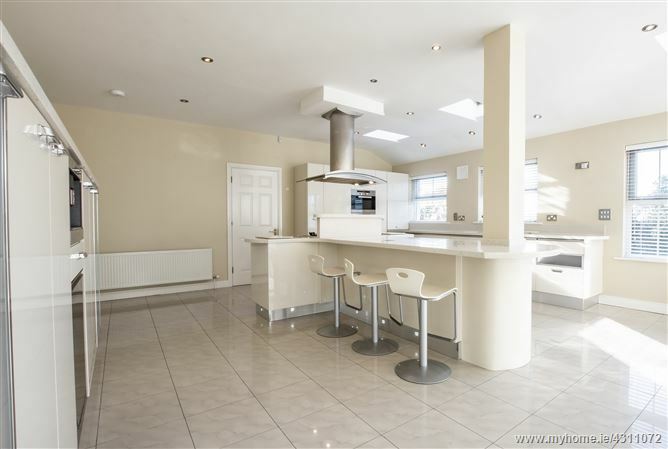 RE/MAX Team Fogarty are delighted to bring this superb 4 bedroom detached home to the market. 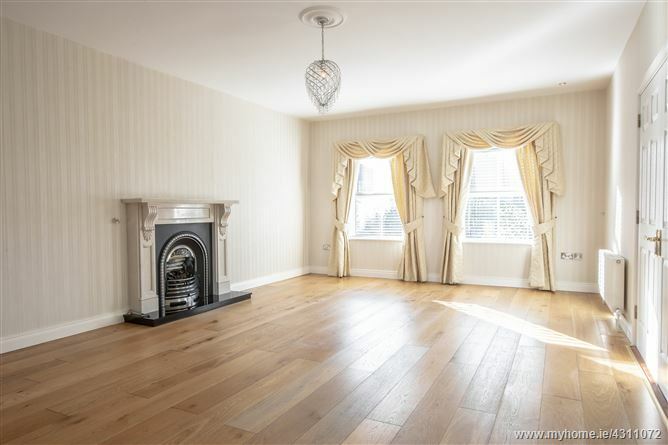 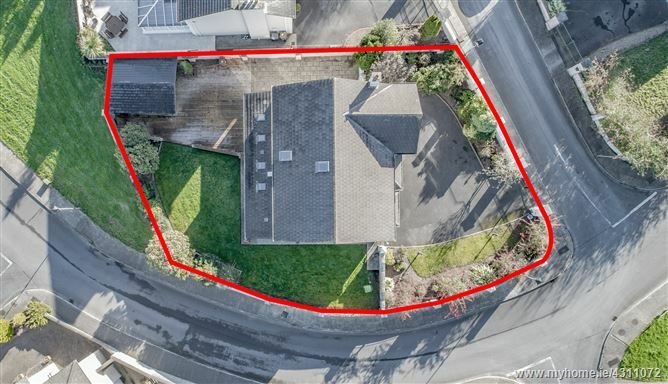 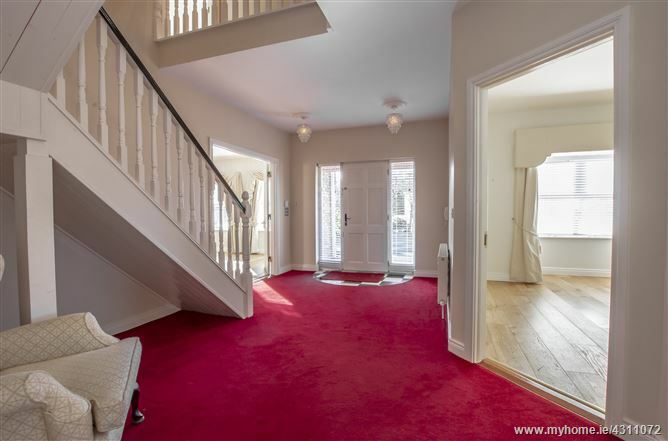 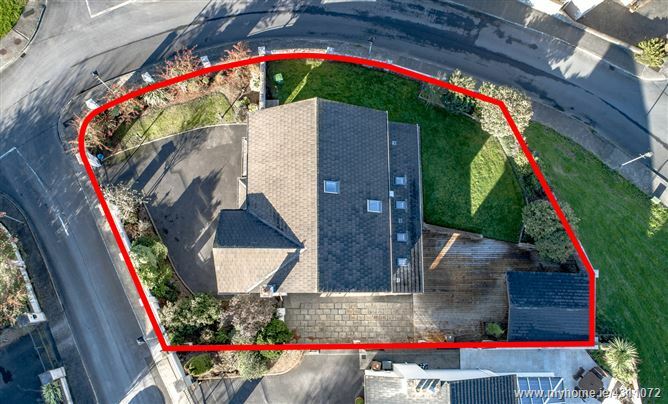 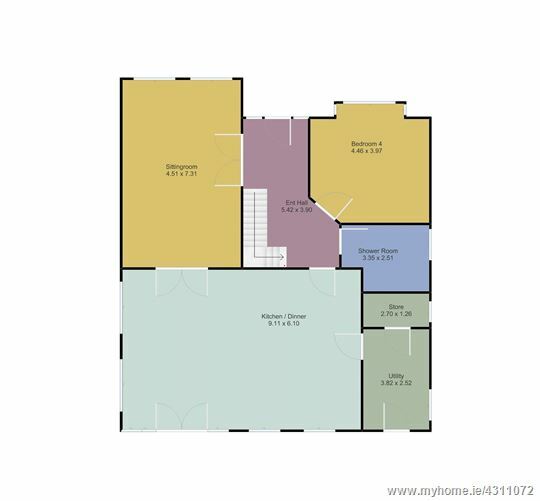 “Bay Hill” is situated on a corner site in one of Waterford’s most desired and sought after locations, this wonderful home offers 260 M² of bright spacious well-appointed accommodation. 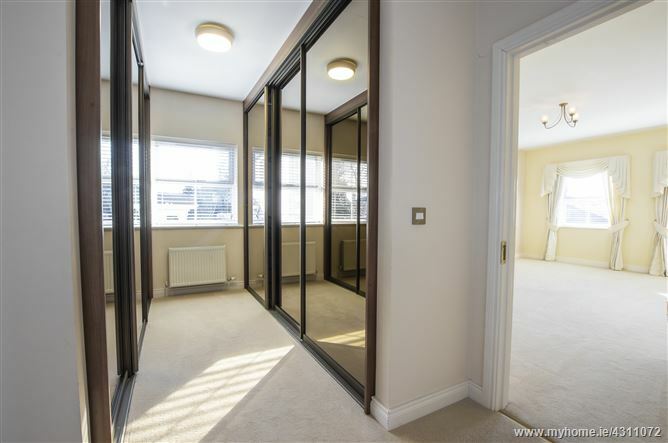 The ground floor accommodates a double height ent hall, a sitting room with solid wooden flooring and double doors that lead to a fabulous high spec top of the range Scavolini high gloss Italian kitchen with dining area. 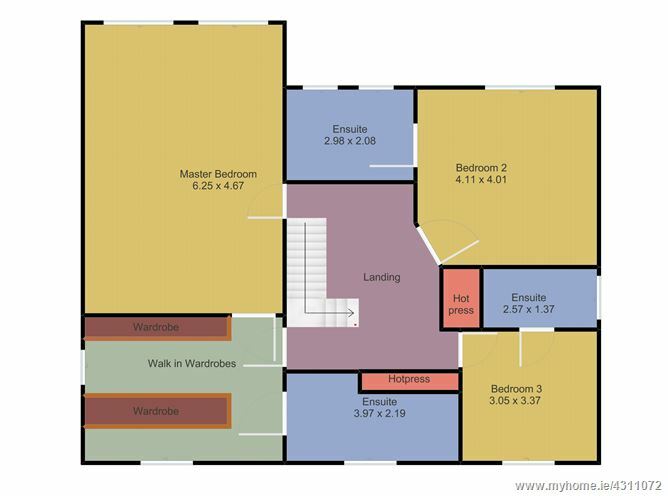 The utility has a walk-in closet and extensive fitted storage. 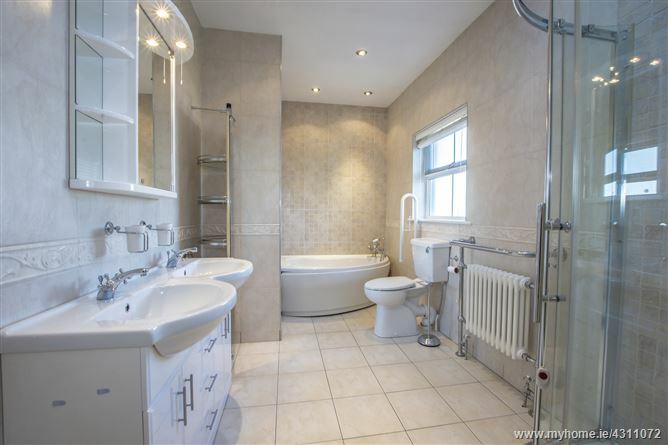 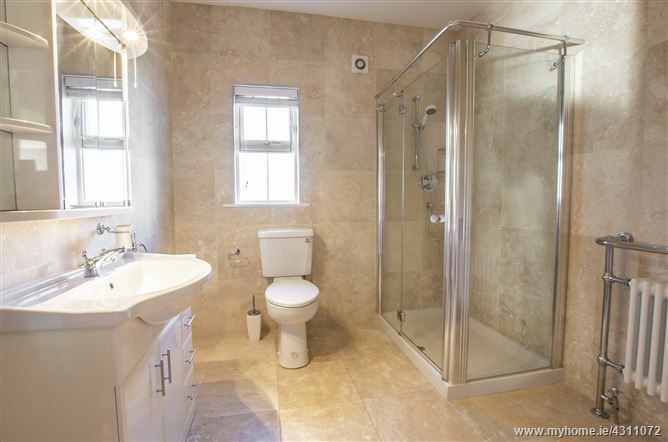 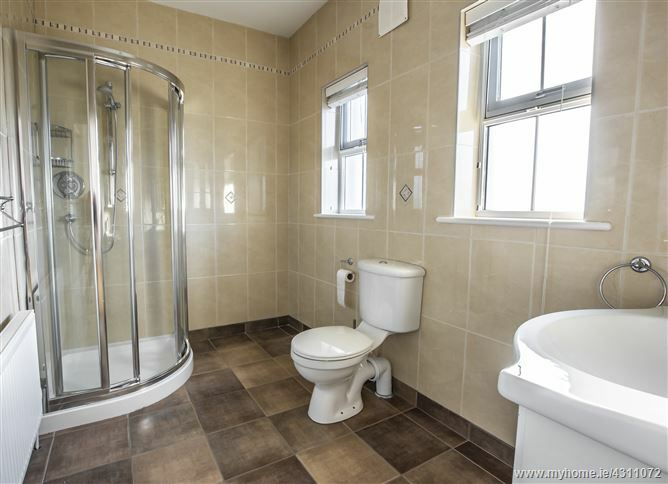 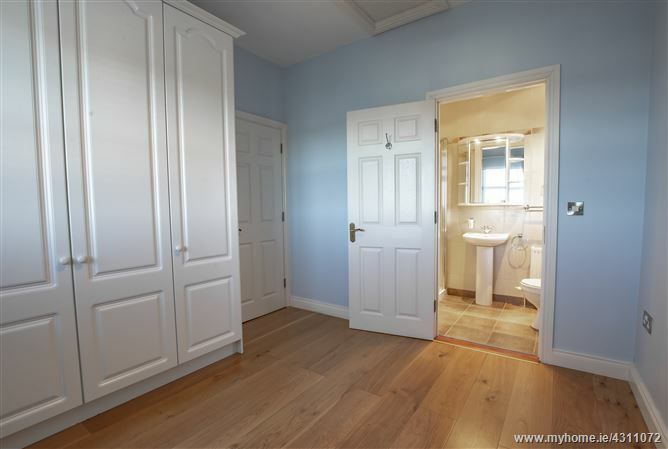 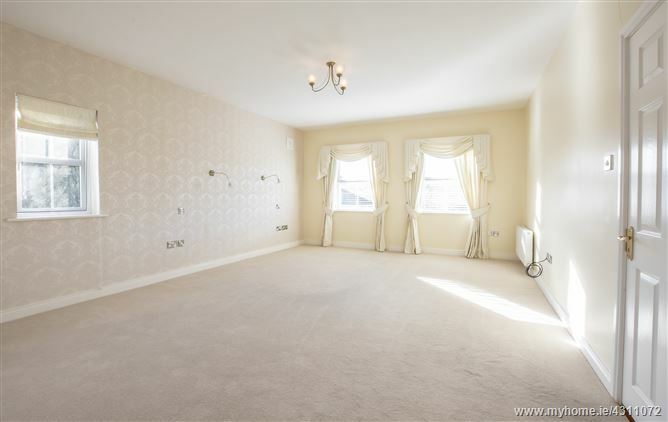 A bedroom and fully tiled shower room complete the ground floor. 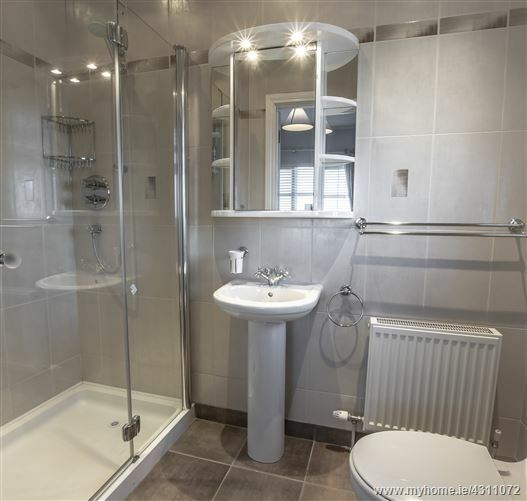 The first floor offers 3 ensuite bedrooms with the master suite incorporating a walk-in wardrobe fully fitted with mirrored sliderobes and a luxurious ensuite with corner bath and shower. 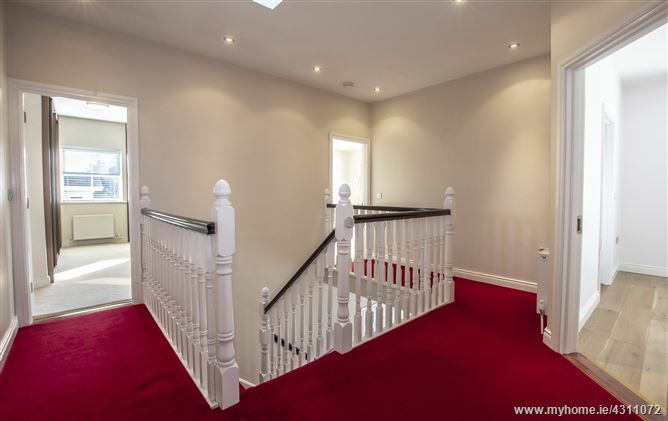 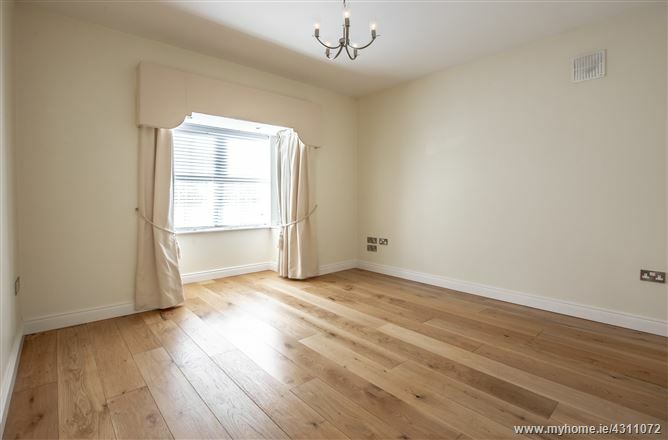 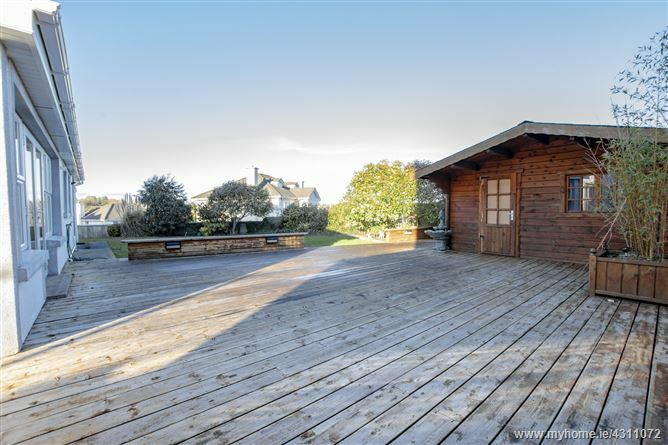 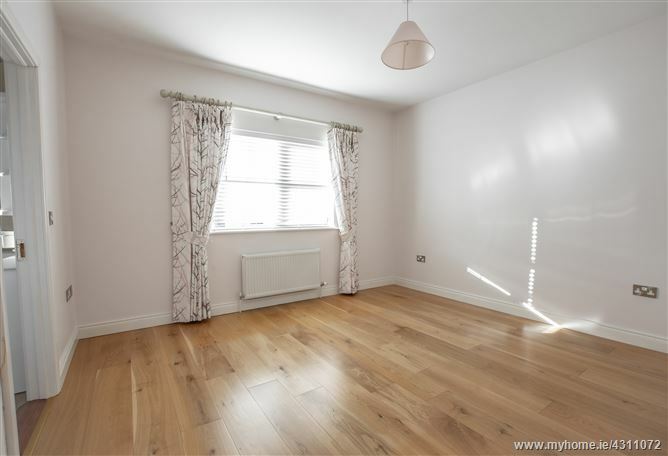 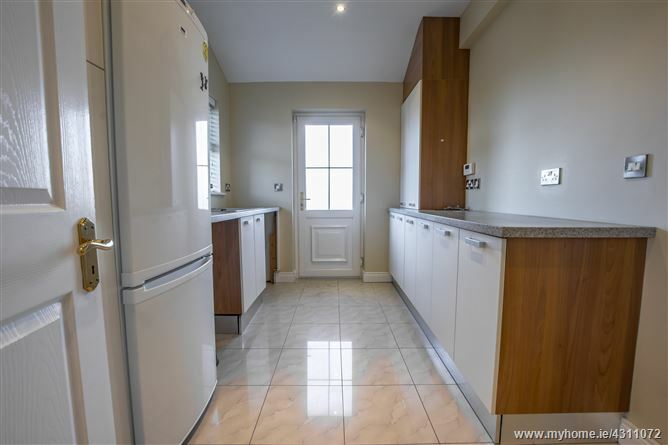 Outside the property is fully enclosed with an electric gated entrance a tarmacadam driveway. 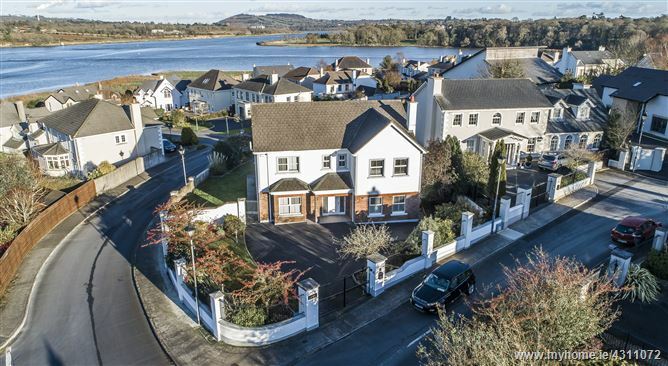 The garden to the rear has beautiful views of the river Suir and has a lawned and decking area and garden shed. 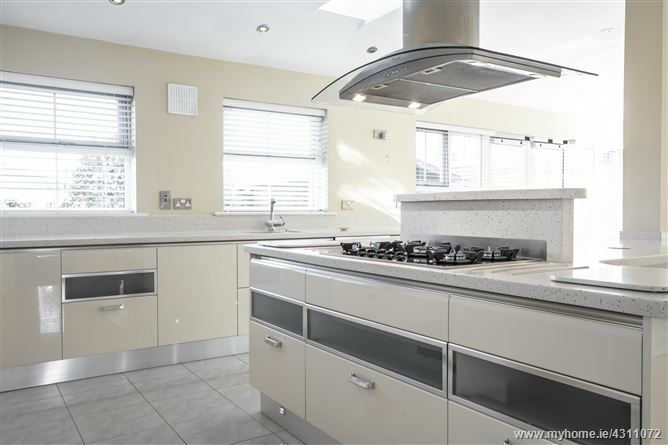 Heating is gas fired with an excellent B3 energy rating. 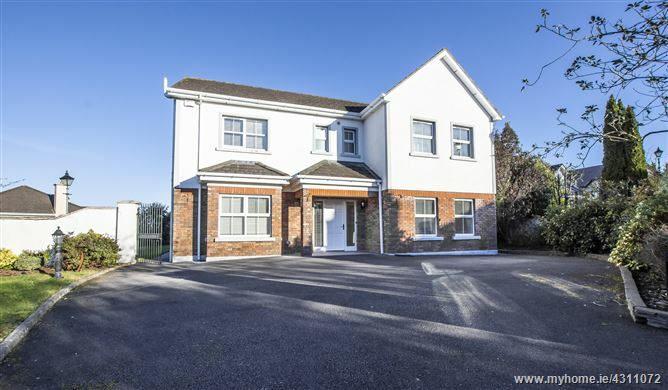 Kings Channel is located immediate to University Hospital Waterford, Ardkeen and Tesco shopping centers, schools and a host of services, sporting, and leisure amenities. 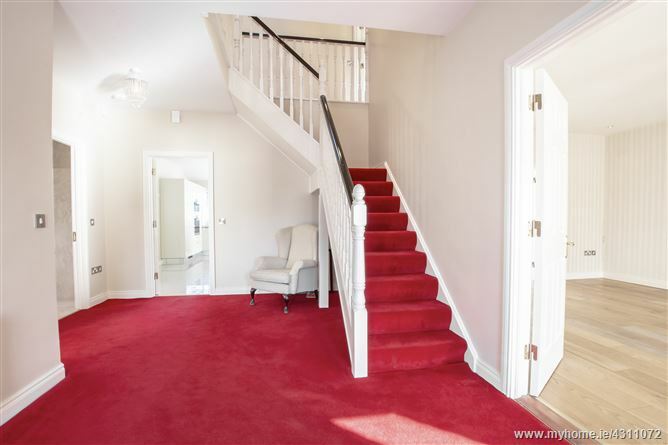 Bay Hill offers excellent privacy is beautifully finished and presented, viewing is a must.